When you think of Oktoberfest, Brazil is likely to be pretty much the last country on your mind. Both culturally and aesthetically, it feels so far removed from Germany that the very idea of holding the traditional Bavarian event there feels like a very bizarre idea. However, it’s not unusual for Oktoberfest to be celebrated across the world, including at Argentina’s annual beer festival. Brazil goes one step better though, as their Oktoberfest is actually one of the largest celebrations of the festival in the world. So, how exactly did this part of Southern America find itself raising its glasses with some rather unexpected European drinking buddies? The short version of how Oktoberfest came to be celebrated in Brazil dates back to Blumenau and the 1980s, following a disastrous flood that devastated the town. A year later, in order to help pull this community out of their depression, they decided to organise their own Oktoberfest in order to improve their community spirit, boost the economy and celebrate German culture and their own German identity. See, this wasn’t any random excuse to drink the night away: Blumenau has distinctly German roots. It was founded in the mid 19th century by a German pharmacist known as Hermann Bruno Otto von Blumenau. If you were thinking that name didn’t sound very South American, then you are right. The town was even built in a German architectural style. In a sour twist of fate, it was the same river that brought its founder and his ship to the town which flooded it. However, the residents managed to find a ray of light in those dark clouds through bringing Oktoberfest to their community. The celebrations also allowed the town to get back in touch with its German roots ­– something that beforehand seemed to be getting lost in the annals of time. The joy of Oktoberfest then began to spread across South America, bringing a huge number of tourists into the town each and every year. 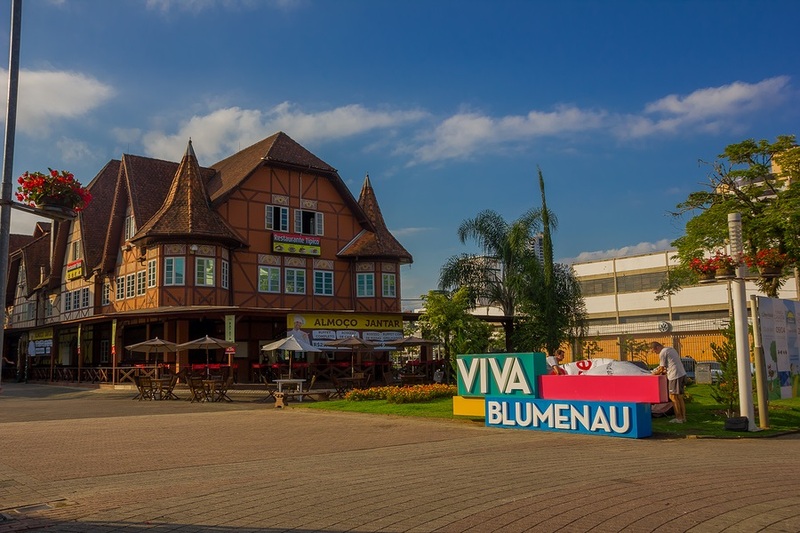 This is only an extremely brief version of the story, which is really the tale of Blumenau itself, but we hope it gives you an idea of why this festival is so popular here and why it is so culturally significant to the local population. There’s not much of a trick to getting involved in Oktoberfest. It’s really just a case of turning up and getting stuck into the festivities. 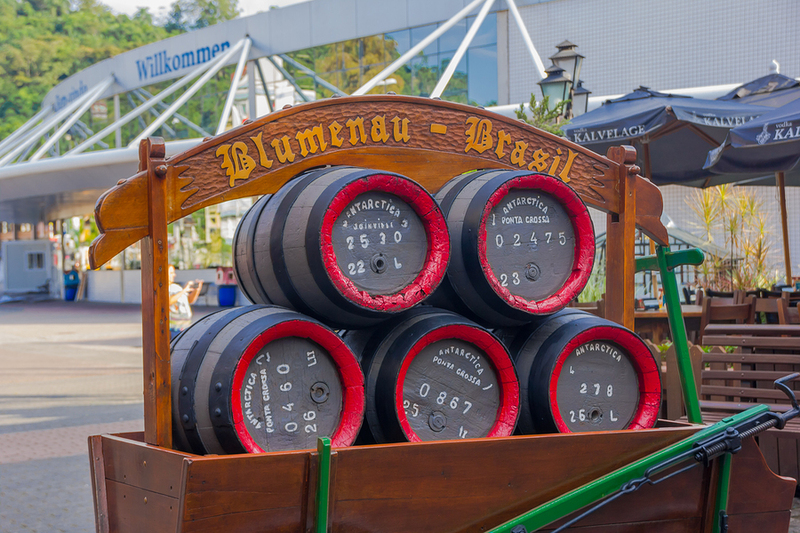 It runs from the 4th October to the 22nd October and is mainly based in Blumenau, although you may be treated to some Bavarian cheer if you holiday to Rio during this time. There’s plenty to enjoy, whether you want to drink lots of beer or take part in an array of traditional activities. Although the activities do change somewhat from year to year, this just means that there’s always something new to experience or participate in. 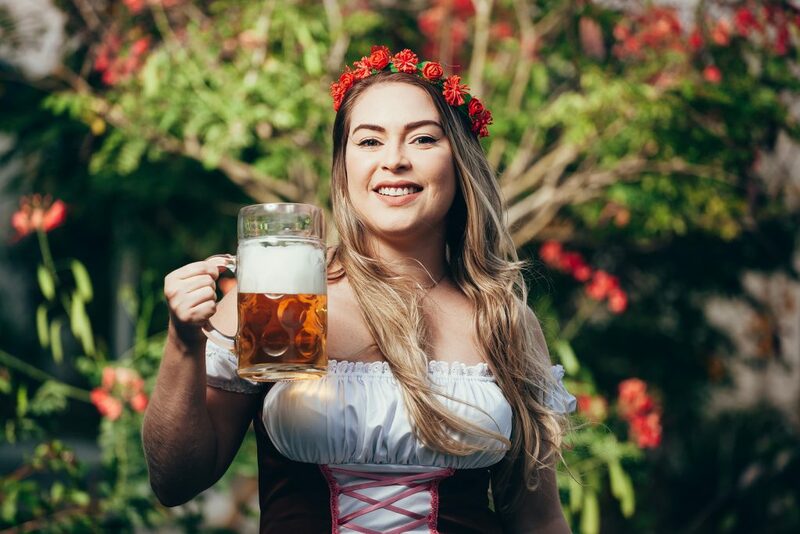 These include the national competition of Chopp Meter Drinkers, which is a contest to see who can drink one metre of beer the fastest, as well as the queen of Oktoberfest event, featuring 10 candidates in traditional dress, to name just a few examples. On top of this, there’s also shooting matches, folk dances, traditional German cuisine and more. While some things do change, plenty also stay the same, including the obvious; the drinks, the music, the traditional clothes and the fantastic atmosphere. 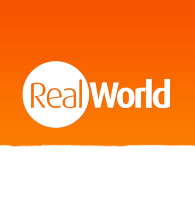 For an Oktoberfest with a difference, check out this very European twist on holidays to brazil.